I liked this second in series significantly more than the first. The best part? Plenty of suspects and not being able to guess the outcome, which was only disclosed in the very end. 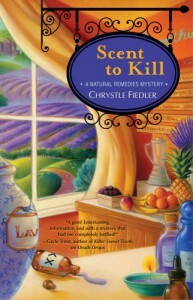 A lovely bonus was all of the wonderful aromatherapy tips and recipes.